Mobile apps are the new cool for any kind of industry today! No matter what business are you in; whether it is a restaurant or hotel or travel & tourism or garments or ornaments & accessories or movie ticket booking etc. The best way to smoothen your buying process for your customers or clients is through light weighted mobile apps. They function fast, complete transactions faster and gather user satisfaction the fastest! One brilliant idea integrated into a small mobile application has the potential of making tremendous profits and it is a fact no one can deny. BrainMobi is headquartered in Noida, India and is on a mission to provide next-gen mobile solutions to entrepreneurs and SMEs. The company focuses on catering the users with the apps that are best in breed comprising of high-resolution pixels and depict speed. 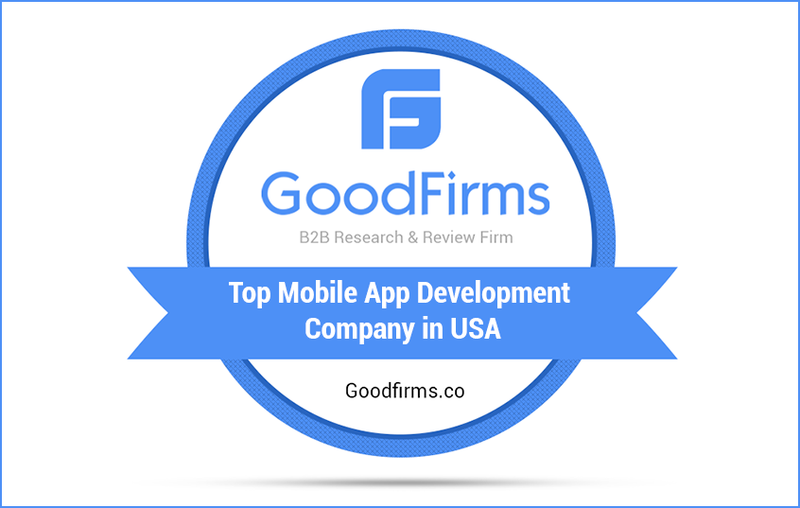 BrainMobi’s gushing reviews with an awe-inspiring portfolio have earned the company a proud space in the Top Mobile App Development Companies in the USA at GoodFirms. GoodFirms is a pioneering research and review platform that helps service seekers find the best companies providing mobile app development services across the globe. Each participating company gets evaluated on the basis of three major parameters – Quality, Reliability, and Ability. And some important factors like market penetration, portfolio, reviews, experience along with their development and design quality make up for their global rank. The research at GoodFirms shows that BrainMobi’s client focus is entirely on small businesses with mobile app development as their prime service apparently. Their key clients that can vouch for receiving the best in class mobile app services are National CSR, Indian Institute of Corporate Affairs, Timekeeper bank, Floyd, Hometurph etc. GoodFirms has also eyed the company’s rainbow-like industry focus which demonstrates their varied market penetration and choices of projects enhancing their next-gen skills. Additionally, BrainMobi’s app building practices with latest technologies are what make the asset investments in the company worth for their global clients. Therefore, with no surprise, BrainMobi has also been confidently included in the list of Top Web Development Companies in USA as well as Top Software Development Companies in USA at GoodFirms. BrainMobi does not just take up ideas and implement them to satisfy their clients. The company put in their passionate work hours for every project they come across and makes it technically successful. Keeping the clients in a loop and moving forward with an informed decision is what makes the app a replica of their imagination. admin BrainMobi is an end-to-end mobile consulting design and development firm specializing in developing high-quality iOS, Android, Web and Gaming applications with global presence and offices in the US, India, Germany & Middle East.